Complete Braintree Integration in Android Tutorial. 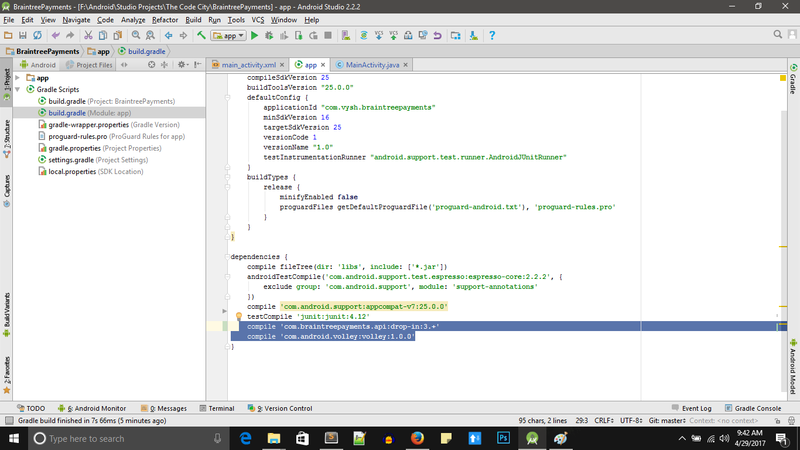 - The Code City Complete Braintree Integration in Android Tutorial. In this post we will completely integrate Braintree payment in an Android app. We will also create our own PHP server side scripts to fully understand the functioning. If you are not familiar with PHP you don't need to worry, we will just create two PHP methods and it's fairly simple, you will understand it in no time. You can download the full source code at the bottom of this post. Our app requests the token from Server. 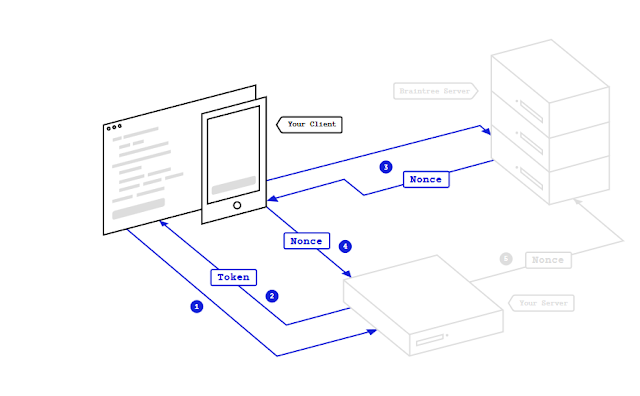 The server generates a token using Braintree's SDK and sends it back to the android app). The app then gets the user's credit card info and then contacts the Braintree server to receive a payment nonce. The server receives token request from the client (Our Android app). Server generates the token and sends back the token to app. (Step 4 in image above)The server receives the payment details and nonce from the client app. (Step 5 in image above)Our server contacts the Braintree server with Nonce and get response if the payment was successful or not. Now that we have understood how the payment process works, let's start with some actual coding, first let's do the client side. Steps to Integrate Braintree Payment in Android App (Client Side). Now let's create layout for the app, we have a simple layout with an EditText where the user will enter the amount to pay and a button to make the payment. Here's the code for the layout main_activity.xml. 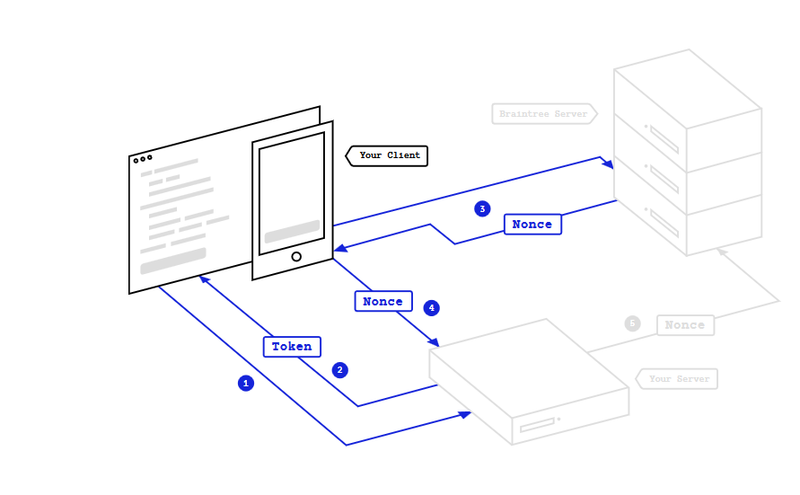 Notice that we've added visibility:gone in our nested linear layout as we first want to get the token from server, only then we want to show form to user to make payments as we need token for payments and we cannot make payments through Braintree without tokens. Once we get the token, we set its visibility to visible. Note: As we have not created APIs yet for getting token, we will leave that variable empty for now. After we create APIs we will add our API. 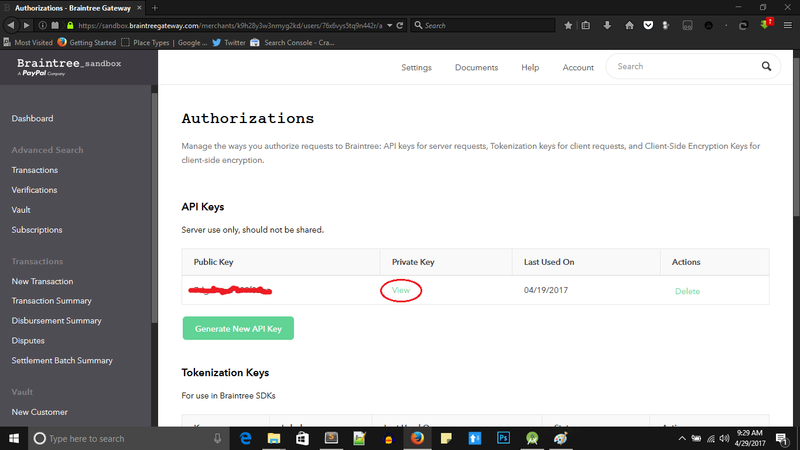 We first call our API that will get the client token using an Async class(API is created at the end of this post). Once we've successfully got the client token, we can use that to make payments using Braintree. So we set the visibility of the form to Visibile so that user can enter the amount to pay. Once user click's the pay button, we present user a DropInForm. DropInForm is Braintree's default form where user need to enter their credit card details. It's Braintree's default implementation to get user card data. Once the user enters his/her details, the details are directly sent to Braintree's server and the server returns a Nonce to the app. Once the Nonce is received from the Braintree server, we send the Nonce along with the amount that user has entered in the 2nd step to our own server using an API that we'll create in the end of this post. Finally we receive reply from our server regarding the payment. // Request a string response from the provided URL. Steps to Integrate Braintree Payment in Android App (Server Side - PHP). To get started with back-end first we need to create a Braintree account. Go to Braintree and create a new account if you don't have one already, then login to the Braintree control panel. Then hover over account on top navigation bar and click on my user. You will see a page similar to this. Then click on view right next to the public key. Once you clicked on view you will see a page similar to this, select PHP as the language above the details that are provided. You will need these details in the next step. Note: I've used XAMPP for server side functionality. The following will assume you have installed XAMPP. Download Braintree's PHP SDK, I do it using composer. Create API for sending token. 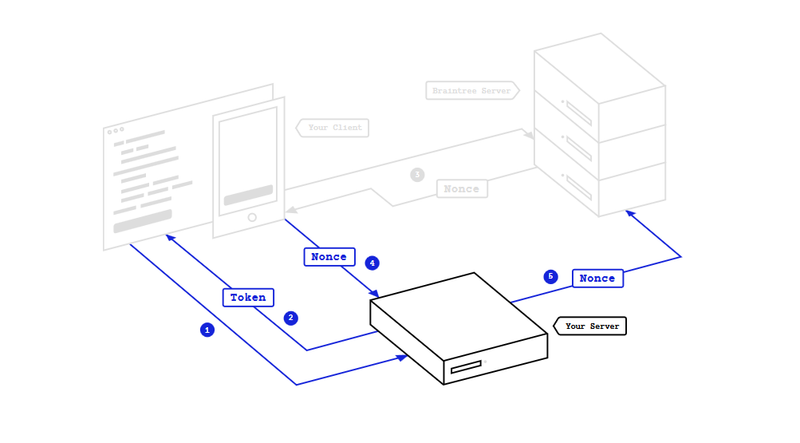 Create API for receiving payment details and sending Braintree server's reply. Let's use composer for downloading Braintree's PHP SDK. Download composer from here: Composer. After downloading, install composer. Create a folder inside C:\xampp\htdocs. I've named it BraintreePayments. Now create a composer.json file in your root directory (BraintreePayments). Copy this inside the file. This code simply echos (Displays) the clientToken, but when we call this file from our Android Device we will receive this token and we can use it further for contacting Braintree's server. After main.php is ready, create a new file name it checkout.php. This file will deal with getting payment amount and Nonce from the client and sending it to the Braintree server. It will receive the reply from Braintree server and we can take steps accordingly. In this example, we don't parse the reply from server. We will straight away send the response to our App and if it contains the text successful, we will toast payments was successful, or else, payment failed. 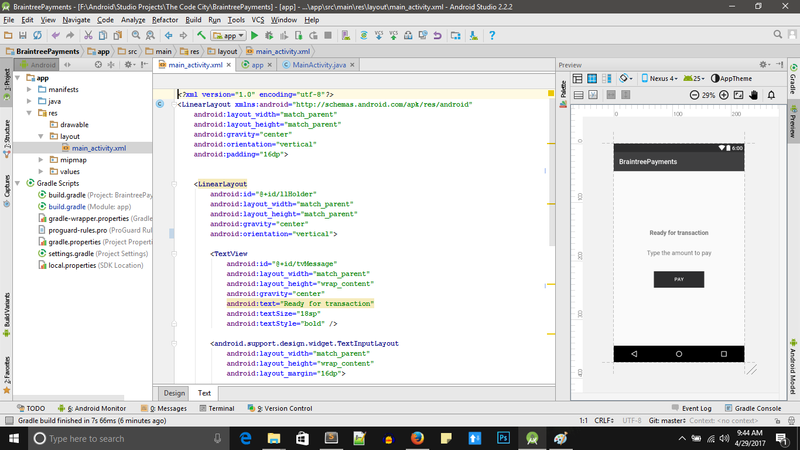 Finally we are ready, we have created the app and we have also done the server side coding. 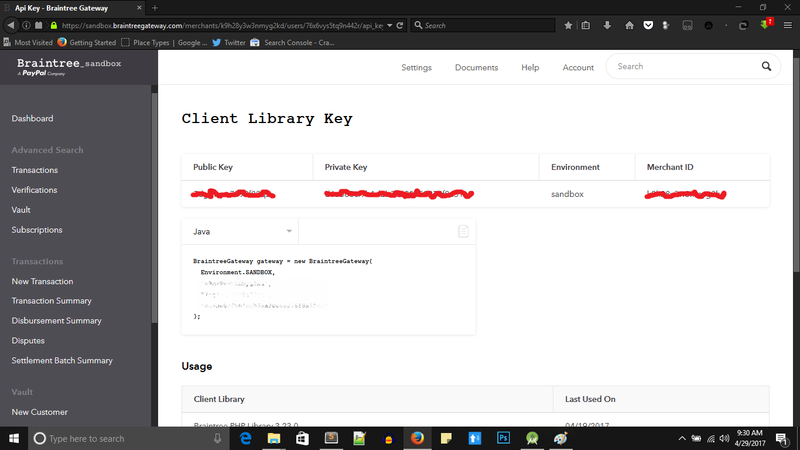 But to use test this app we need to do one more thing, Start XAMPP and find out you ip address(Type ipconfig in terminal) and set the get_token variable that we created in the MainActivity.java to http://YOURIP/YOUR-ROOT-FOLDER/main.php and set send_payment_details variable to http://YOURIP/YOUR-ROOT-FOLDER/checkout.php. Bravo, we done it. Now build and test you app! 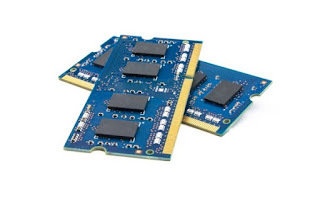 In case you are wondering what the Braintree's server replies to our server, here's what it looks like, in actual production this needs to be properly parsed by the server, but we are just sending it to our Android app and if it contains the word successful, we show a toast message as Payment successful.